This month, the Bostik Blogger theme is, of course, Valentine’s Day. 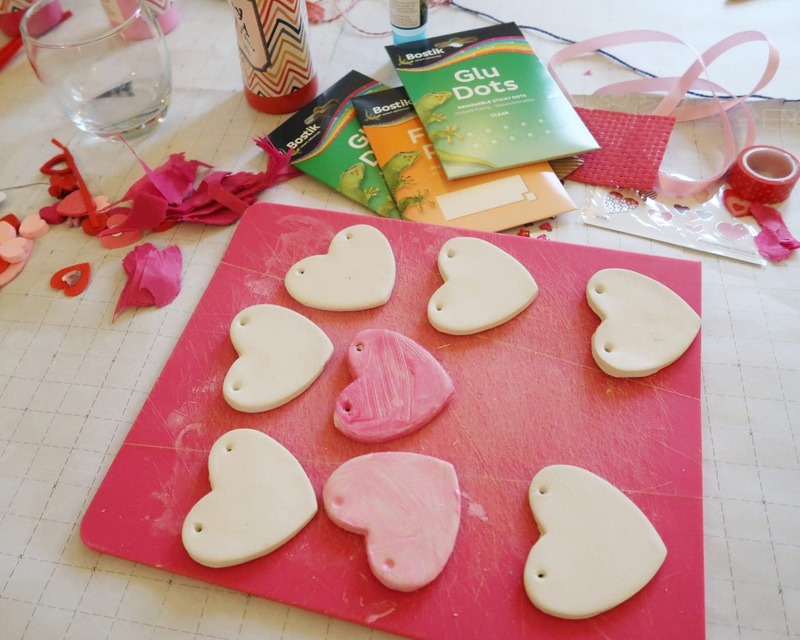 As well as the Recycled Wax Crayon Valentine’s Card craft I shared a few days ago, I have also created this clay heart bunting for Valentine’s Day. 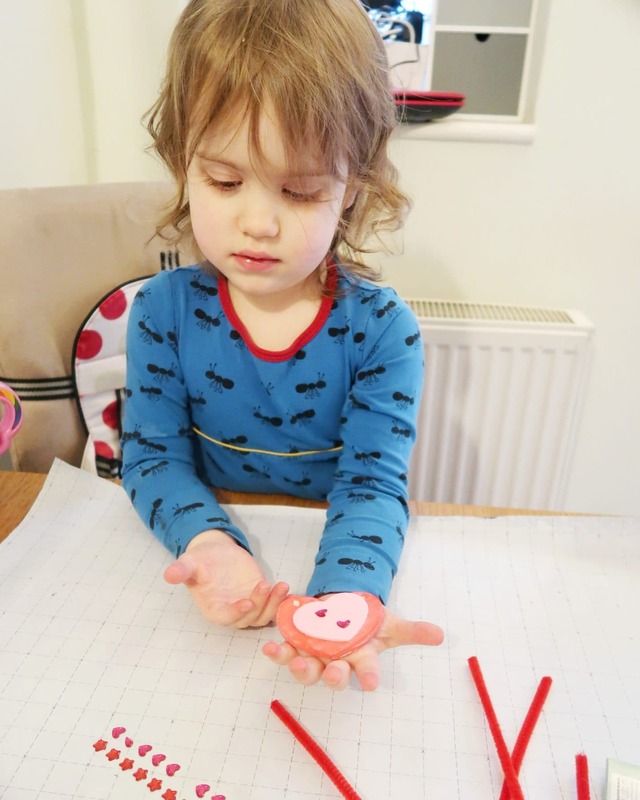 This craft works particularly well with children, as they can have lots of fun creating and cutting out the clay or dough heart decorations and then painting and decorating them. Littlest certainly loved all the pink! 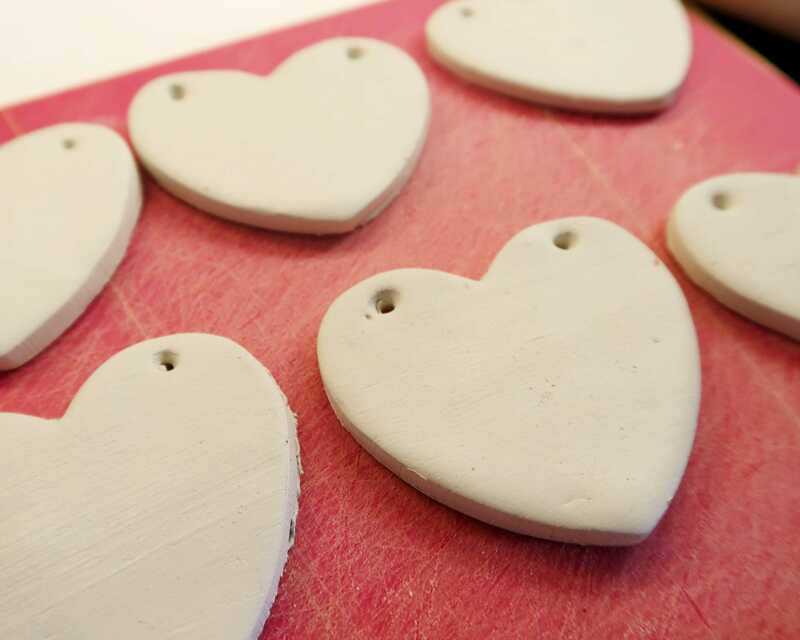 I used air-drying clay to make my heart shapes, but you could use salt dough to make them, in a similar way to making salt dough Christmas decorations. You can find a recipe for salt dough in this post from Tippytupps. This craft is really simple. 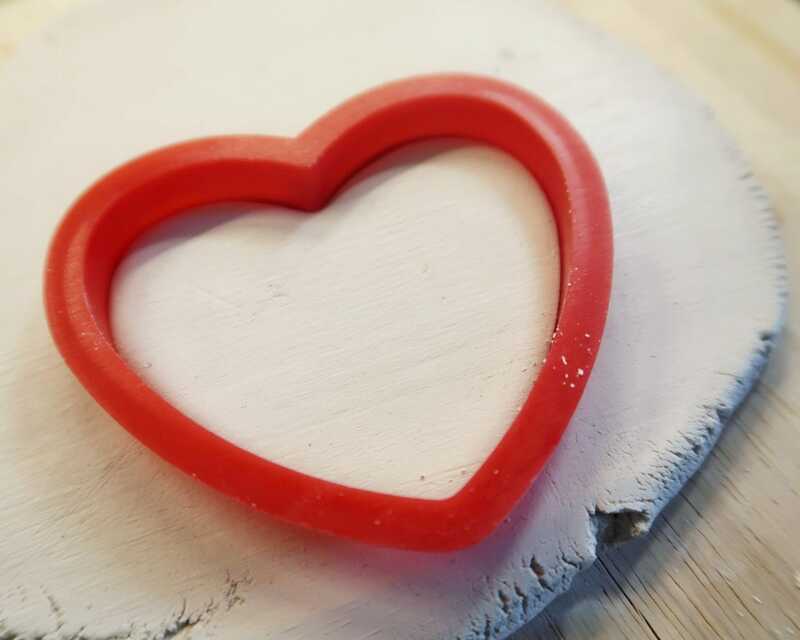 Firstly, roll out your dough or clay and use your heart-cutter to make several hearts. I made eight, even though I only used five on the final bunting, just in case any broke while drying/cooking. 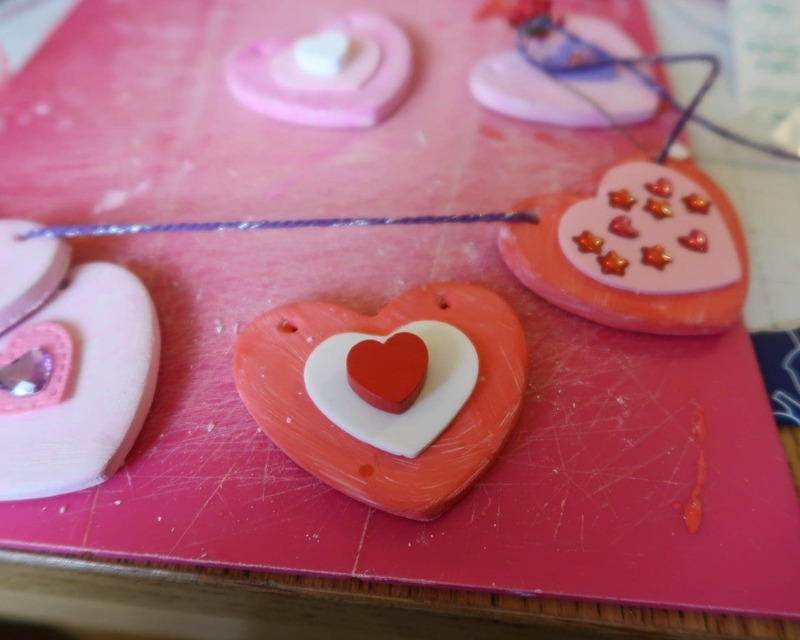 Before leaving the hearts to dry, use a skewer or toothpick to create a hole in each side of the top of each one. The holes need to be big enough to thread the string. Take care – if you are too rough or the holes are too big the hearts will be weaker near the holes when dry and may break. I left my clay hearts out to dry for nearly 48 hours before painting them. Once the hearts were dry, I painted them in various shades of pink. We made sure the paint was dry and then Littlest and I decorated the hearts. We used a range of heart stickers and materials, in foam and wood and plastic. Littlest also used a selection of heart stickers to decorate hers. We used glue dots to stick our decorations to the hearts. 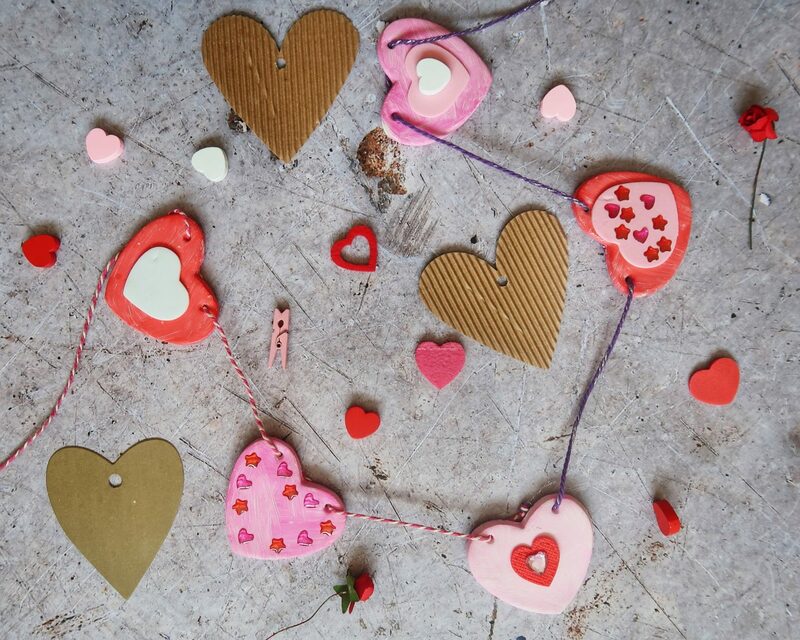 The final stage, once all the paint and decorations were placed and set, was to thread the hearts onto the string. Using a large needle would be sensible, if you have one. I did not as so I needed a steady hand and a lot of patience! 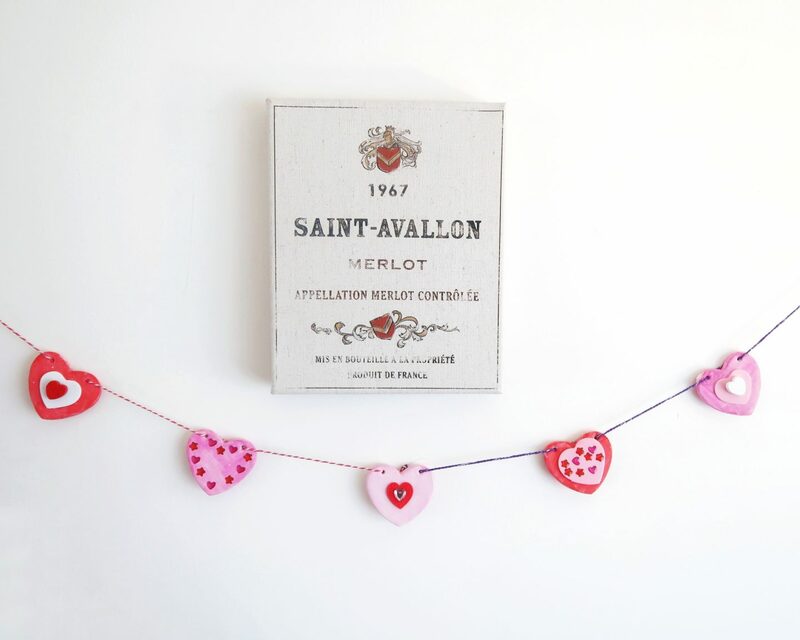 I used two types of decorative string, with silver, pink and purple twines, and tied them together to create our clay heart bunting for Valentine’s Day. The holes on our hearts were just snug enough so that they did not need securing further to stay in place, but you may use a little tape on the back of each one to keep them secure. 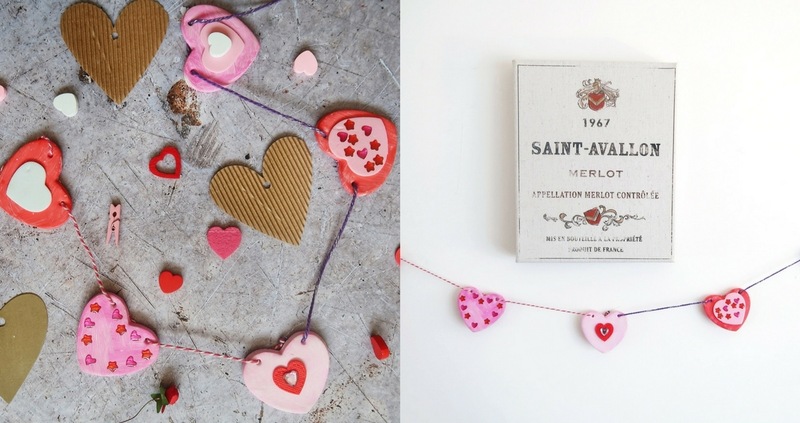 Your clay heart bunting for Valentine’s Day is then ready to hang. Please note, Bostik send us a range of craft materials and glue in order to create our Bostik crafts each month. Some links on Someone’s Mum may be affiliate. This will not affect you if you choose to buy anything linked from this site. 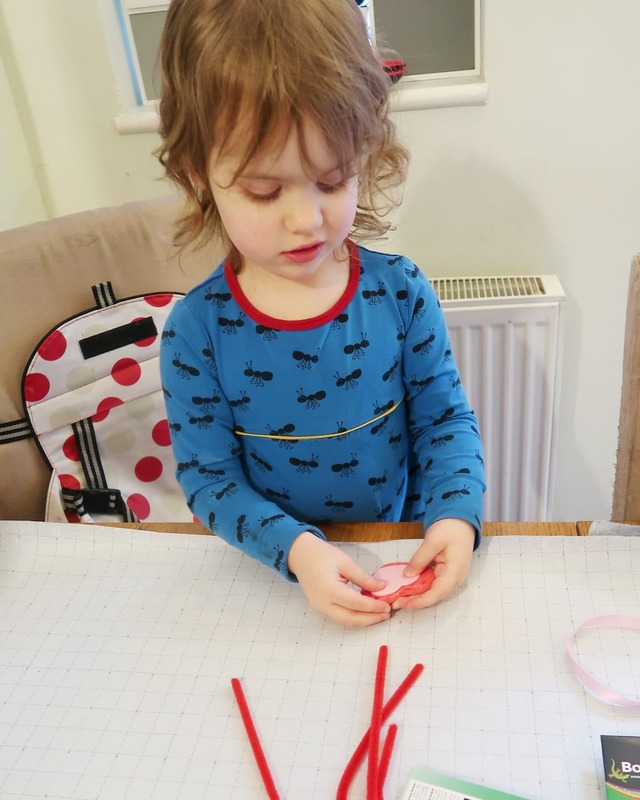 Check out our Valentine’s Crafts for Toddlers for more fun things to do in the build-up to Valentine’s Day. 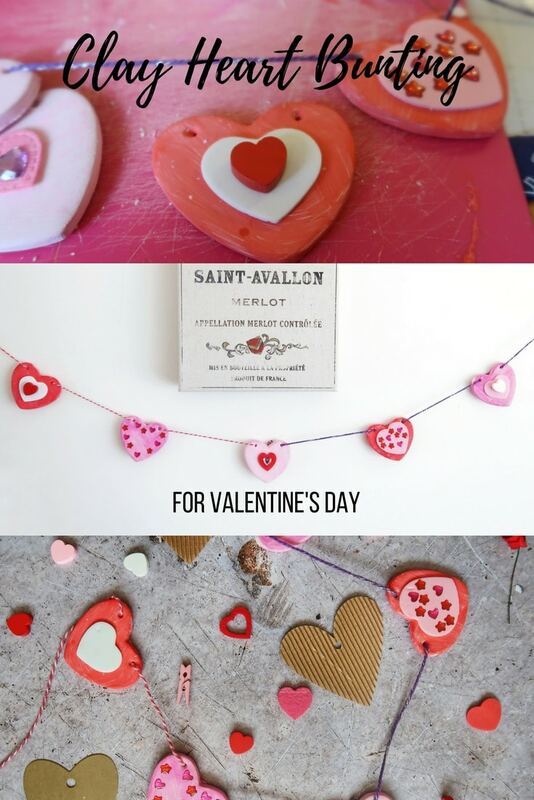 I love this art activity for Valentine’s Day and I’m going to give it a go this weekend with the kids. I love doing art activities where all the kids can succeed and create masterpieces and it looks relatively easy to do!